[toc]Lips are one of the most attractive features in a woman. Soft, smooth and luscious lips is what every woman desires. However during the winter months, due to lack of moisture in the air, lips can try dry and chapped. Some cosmetics like lipsticks, lipstains and lip glosses can also cause allergic reaction which can contribute to dryness and ultimately lead to chapped lips. Unhealthy diet and low intake of water can also cause chapped lips. However, there are a number of ways to get rid of this condition. Here we present to you some methods by which you can bid adieu to dry chapped lips forever. Most of us scrub our face and neck but forget to scrub our lips. Exfoliating your lips is one of the easiest and simplest ways to get rid of dryness. Combine equal quantities of extra virgin olive oil, honey and brown sugar in a small bowl. 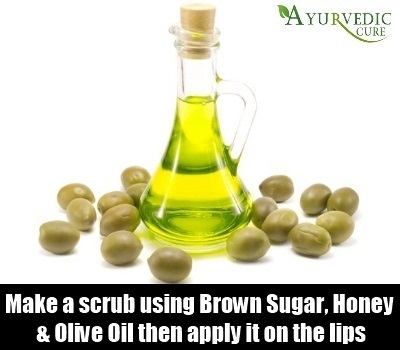 Apply a small quantity of this scrub on your lips and massage your lips in circular motion. Make sure that you apply gentle pressure otherwise you might hurt the gentle skin of your lips. Wash off with plain water. Dry, cracked lips are a result of dehydration. So, you should drink plenty of water. 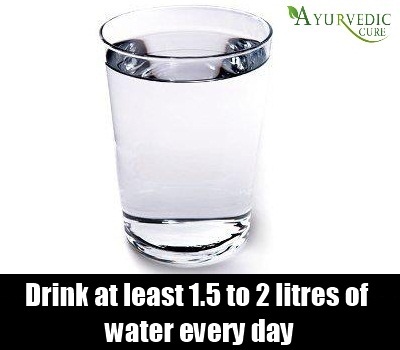 Drink at least 1.5 to 2 litres of water every day. Also drink a lot of fresh fruit and vegetable juices to keep your body hydrated. Avoid drinking frizzy drinks and colas as they contain a lot of sugars and are harmful for your body. Also reduce the intake of coffee as it contains caffeine which dehydrates you further. Chapped lips needs intense moisturization to heal and repair. Apply a bit of pure coconut oil on your lips twice a day. 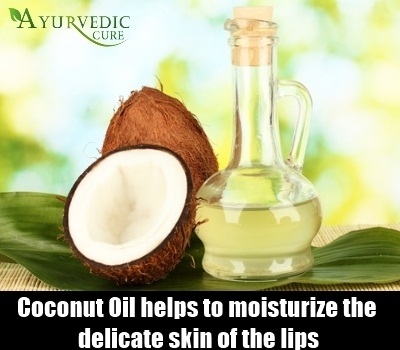 Coconut oil contains essential fatty acids that helps to moisturize the delicate skin of the lips. Regular application of pure coconut oil will not only get rid of any dryness but it will also make your lips soft and pink. Soak a handful of rose petals in a cup of raw milk for two to three hours. 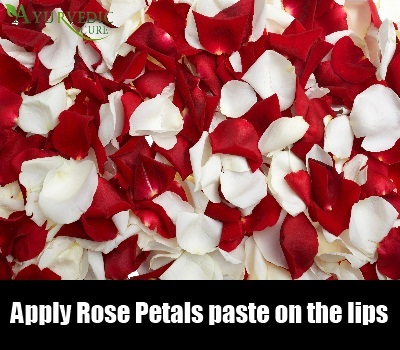 Strain the rose petals and mash them until you have a thick paste. Apply this paste over your lips and allow it to remain for 15-20 minutes. Rose petals have cooling and hydrating properties that soothes chapped skin and also aids in healing it. Use this natural remedy three to four times a week and you will notice that your lips are pink and smooth. Grate a cucumber and extract its juice by passing it through a thin sieve. Blend a tomato and extract its juice. now mix equal quantities of cucumber and tomato juice. 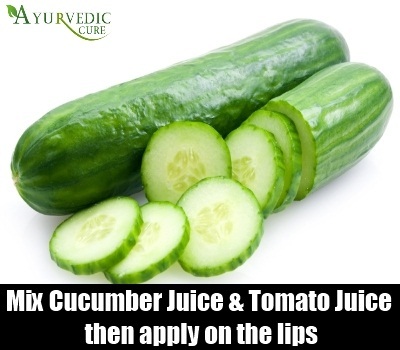 Soak a cotton ball in this juice and apply it liberally over your lips. 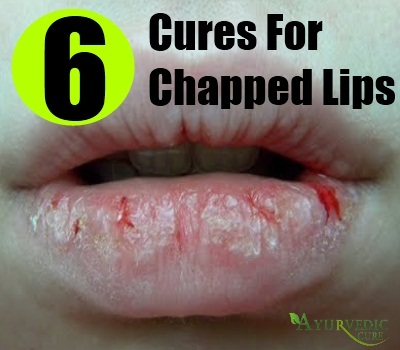 This will not only help in healing cracked lips but it will also lighten the color of your lips. Regular application of fresh aloe vera gel is also seen to help in healing chapped lips. 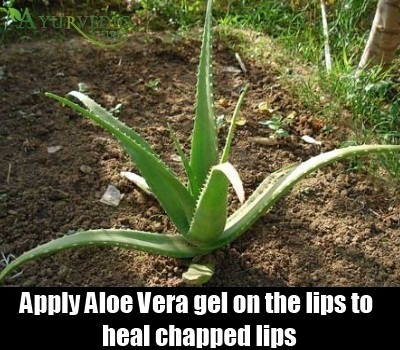 Aloe vera will also prevent further dryness and chapping of lips. These were a few methods to get rid of chapped and dry lips. Avoid licking your lips as this also leads to chapping. To keep your lips soft and smooth, avoid drinking and smoking and always keep your lips well moisturized.